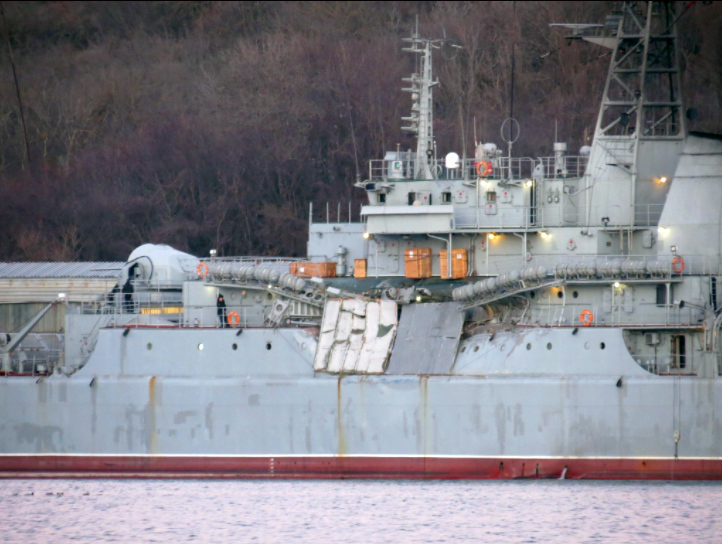 The damaged Yamal in Sevastopol. All damage seems to be on the superstructure. There is no visible damage to the hull. That is good. Photo: Artem Balabin. 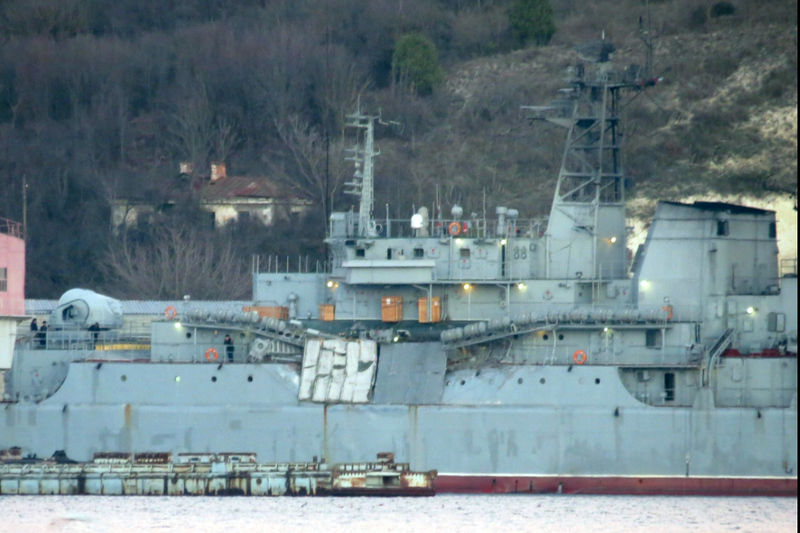 I might be mistaken but the damaged area supposed to be the living quarters of the crew and the transported troops. Thus I sincerely hope no one was injured. The blow seems to be strong. Photo: Artem Balabin. Another photo showing the extent of the damage to Yamal. Photo: Artem Balabin. It is a pity that we -the ship spotters in Istanbul- have missed the northbound passage of Yamal on 1st January 2017. Otherwise, the Russian Navy would not be able to cover it up for 10 days. Container ship ORCA 2 collided with Russian Navy Landing ship YAMAL at around 1300 UTC Dec 30 in Aegean sea some 8 nm northwest of Rhodes port, Rhodes island. Container ship was en route from Alexandria to Gemlik Turkey Marmara sea, and according to Russian Navy official statement, was overtaking YAMAL, when suddenly veered starboard and collided with YAMAL. ORCA 2 is to be blamed for collision, said Russian Navy. Both ships sustained undisclosed damages. 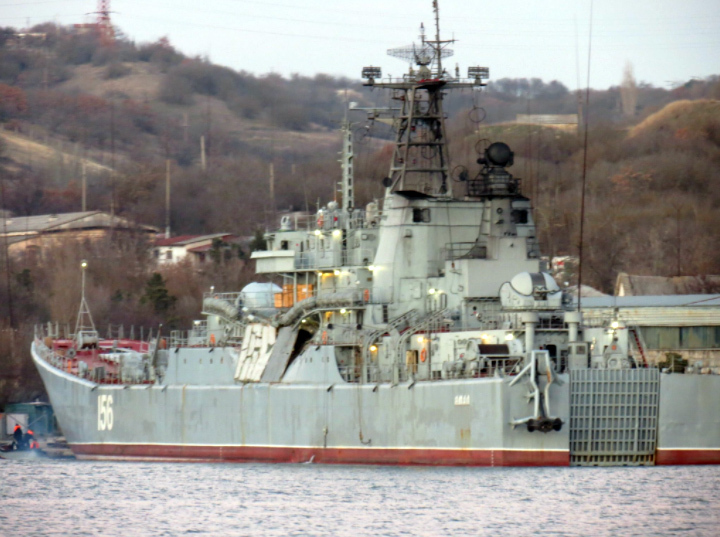 YAMAL was en route from Syria to Sevastopol, Crimea, understood she resumed sailing, while ORCA 2 was taken to Rhodos anchored and remained at anchor until Jan 4. On Jan 4 she resumed voyage, and on Jan 6 arrived at Gemlik. On Jan 10 she was still at Gemlik. There were no news on this accident until Jan 10, when suddenly, Russian Navy made an official statement, published by Russian News Agency TASS. The omission of Yamal from Syrian Express supply runs will make life of logistics planners very difficult. She was one of the most prolific ships, making 10 deployments in 2017 before the accident. She may be out of service for a couple years.